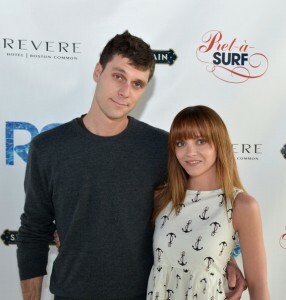 Home » Entertainment » Hollywood » Hollywood Buzz » Christina Ricci & James Heerdegen Married? Christina Ricci and James Heerdegen may have wed according to some reports. But hold your horses, there is official confirmation from their camp yet, could end up to be some internet rumors. Christina Ricci wed James Heerdegen in New York City on Saturday, according to Us Weekly. The couple, who became engaged in February, met on the set of the “Pan Am,” where Heerdegen was a camera technician. We are still monitoring this news for any official confirmation. Yes! They are married! Congrats to the newly wed!! Next: Chris Brown Arrested for Assault?